Cryptographers Demonstrate Collision in Popular SHA-1 Algorithm - eff.org - 24-02-2017. (2017). 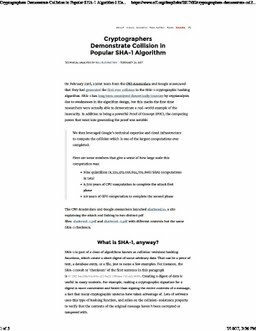 Cryptographers Demonstrate Collision in Popular SHA-1 Algorithm - eff.org - 24-02-2017.